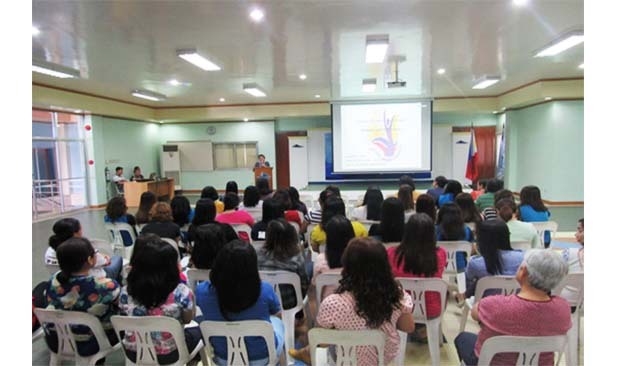 To make governance more gender-responsive, the Metropolitan Naga Water District (MNWD) strengthens its efforts in promoting Gender and Development (GAD) within the organization. 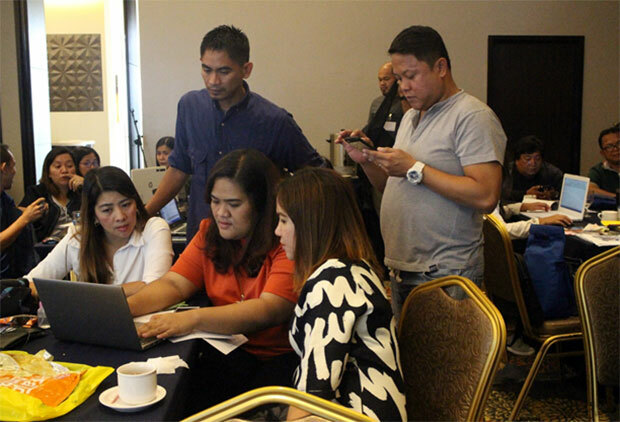 In line with this, the MNWD Gender Focal Point System (GFPS) Technical Working Group headed by Cherry Grace R. Regmalos together with other team members attended the Gender Responsive Planning and Budgeting Seminar held at Home Crest Hotel Davao City last June 19 to 21, 2018. 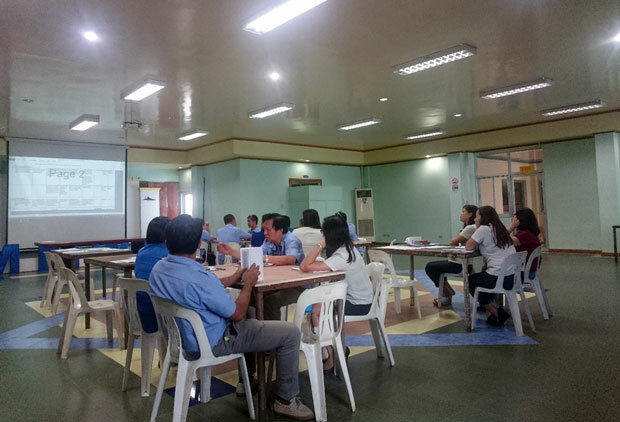 Hosted by the Davao City Water District, the 3-day seminar equipped the participants with the substantial knowledge and expertise for the mainstreaming of GAD in the water sector. 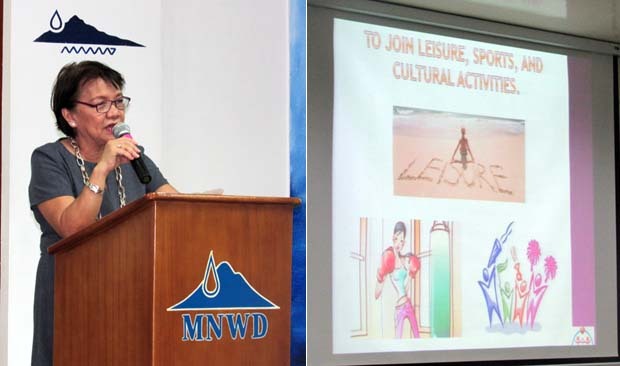 Meanwhile, the GFPS echoed the said seminar to the MNWD employees last June 26, 2018 at the Multipurpose Hall. PLANNING AND BUDGETING. 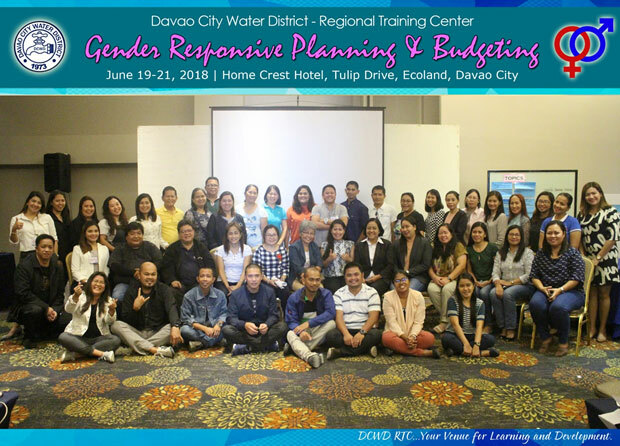 The Gender Responsive Planning and Budgeting hosted by the Davao City Water District participated in by MNWD GFPS TWG: Cherry Grace R. Regmalos (Chairperson), Ariel S. Esteban, Stephen P. Nieves Jr., Claudette M. Salvino, and Sharmaine E. Bracia. ECHO SEMINAR. 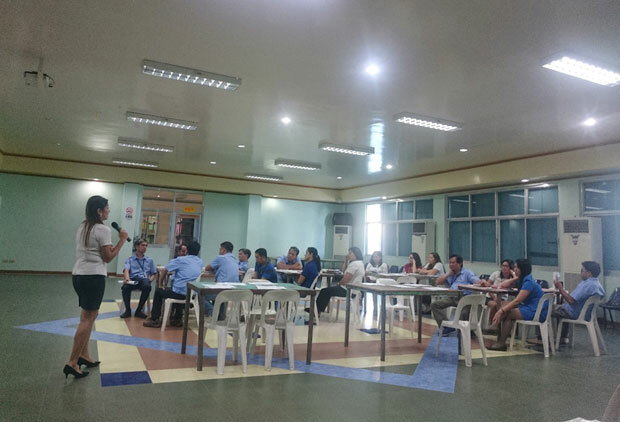 The Gender Responsive Planning and Budgeting Echo Seminar conducted at the MNWD Multipurpose Hall last June 27, 2018. Last March 16, 2018 the Metropolitan Naga Water District (MNWD) conducted an outreach activity at the BJMP Naga City District Jail in Barangay Del Rosario, Naga City consistent with proclamation No. 227 s. 1998, the annual conduct of National Women’s Month Celebration. GROUP PHOTO. The MNWD employees together with Dir. 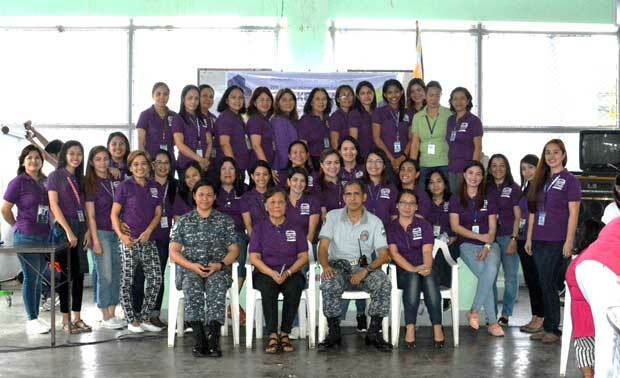 Monina Claveria (seated, 2nd from left) and the BJMP personnel in celebration of the Women’s Month 2018. MESSAGE FROM DIR. CLAVERIA. Dir. Claveria gave a short message emphasizing the importance of women in the society in front of the BJMP detainees. HIGHLIGHT OF THE EVENT. The detainees were given personal care as one of the services showcased during the visit at BJMP. Team building activities have long been associated with having fun, social, and non-work environment. It helps boost morale, build relationships, and ultimately contribute to a positive workplace culture. In line with the company’s values statement, the employees of the Metropolitan Naga Water District (MNWD) conducted a Team Building Activity at Tinandayagan Falls and Resort, Brgy. Palong, Libmanan, Camarines Sur in two batches, the first batch on May 26-27 and the second batch on May 30-31, 2017, respectively. MNWD’s team building activity gave everyone an opportunity to revisit the company’s Vision and Mission and engaged every participant by their written personal commitments for the improvement of their services. These provide clarity on where the company is heading. To complete the team spirit, MNWD Director Monina Lily A. Claveria filled the participants with scriptures, values, and having good relationships with God, nature, family, officemates, including ourselves. Participants returned to work with renewed motivation to achieve, reassessed their personal goals, and planned their own personal achievements for the remaining months of this year. What a better way to cap the quarter with a team bonding session that embraced the personnel’s goals and connected them with the company goals. Mainstreaming gender equality is a strategy adopted internationally and promoted by the Beijing Platform for Action in order to meet gender equality goals. Gender equality is also espoused by the United Nations and bilateral aid agencies as an avenue to facilitate women empowerment. In compliance and in support with Republic Act 9710, more popularly known as the Magna Carta of Women, and in accordance with the memo from the Philippine Commission on Women to water districts and the Local Water Utilities Administration (LWUA) on the guidelines on the review and endorsement of water district annual gender and development plans and budgets, the Metropolitan Naga Water District (MNWD) conducted a Gender Analysis and GAD Planning and Budgeting workshop on September 26-28 at the MNWD Multi-Purpose Hall with 62 participants from the Water Districts of Bato, Nabua, Calabanga, Bula, and MNWD in Camarines Sur and the Water District of Ligao in Albay. 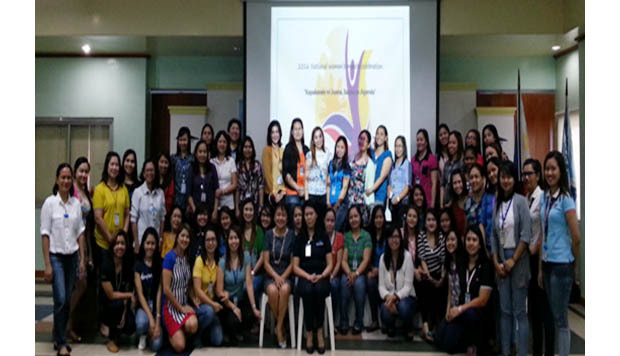 MNWD Board of Directors, Dr. Marilissa J. Ampuan and Mrs. Socorro B. Felix, actively participated in the Gender Analysis and GAD Planning and Budgeting Seminar. Participants were expected to be trained on Gender Mainstreaming Evaluation Framework, Harmonized GAD guidelines, and GAD Planning and Budgeting plus identification of organization and client-focused inputs for 2018 GAD plans. Resource person from the Philippine Commission on Women, National GAD Resource Pool was Reina P. Olivar while resource persons from LWUA were: Esther J. Abrugar, Senior Research Analyst A; Gemma B. Englisa, Acting Manager, Water District Development Division – Bicol, Area IV; Engr. Ajero C. Comia, Supervising Water Utilities Development Officer Water District Management Advisor; Flordeliza A. Ella, Senior Water Utilities Development Officer, and; Atty. Ma. Elena R. Te, Acting Deputy Administrator for Administrative Services, LWUA GAD Focal Point Chairperson. GM Cesar H. Federizon welcomed the participants on the opening program with a speech. Director Socorro B. Felix gave the opening remarks. Introduction of participants, resource speakers, and guests from LWUA came next. Guidelines on the Review and Endorsement of Water District Annual Gender and Development Plans and Budgets, Refresher on Basic GAD concepts, Mandates on Gender Mainstreaming with Interactive discussion, Introduction to Gender Analysis, Gender Mainstreaming Evaluation Framework, Group Workshop on Policy, People, Enabling Mechanisms, and PAPs, Synthesis and closing of Day 1. Recap, Presentation of Workshop Mechanics and Demonstration, Group Workshop 5 and Plenary: Identifying gender issues and strategizing for Policy, People, Enabling Mechanisms and PAPs, Plotting GMEF Results in the GAD Plan, Group Workshop 9, Group Presentation, Synthesis and closing of Day 2. Introduction to Harmonized GAD Guidelines, Demo Box 7a Exercise: Plenary, Group Workshop 10, Presentation of Outputs, Group Workshop 11: Identifying Strategies to Increase GR of Water District PAPs, Presentation of Workshop Outputs, Demo: Plotting HGDG results in GPB, Project Implementation, Monitoring, and Evaluation, Demo: GAD Accomplishment Report, Impressions, Awarding of Certificates, and Closing. One highlight of the activity was Atty. Ma. Elena Te sharing of LWUA’s challenges, experiences, and success formulation in the planning and presentation of the GAD Programs. She encouraged the participants to strive and meet the objectives of the GAD Programs. In celebration of Women’s Month with the theme “Kapakanan ni Juana, Isama sa Agenda”, the Metropolitan Naga Water District (MNWD) conducted a whole day activity for its women entitled “Serbisyo para Ki Juana” which aims to pay honor and give tribute to the women in recognition of their contributions to the progress of MNWD. To empower the ladies, Hon. Cecilia B. Veluz-De Asis, Naga City Councilor and Naga City Council For Women (NCCW) Vice-Chair highlighted the salient features of Republic Act 9262: Anti-Violence Against Women and Children and Republic Act 9710 otherwise known as the Magna Carta of Women emphasizing their rights and priveleges as woman. To complete the day, the women were pampered with free massage, nail care services and hair trimming. To the Women of MNWD, aim high, strive more and make a difference!!! The Resource Person. Naga City Councilor and Naga City Council for Women Vice-Chair, Hon. Cecilia B. Veluz-De Asis. She was popularly hailed as Kasurog Kan Familia (Family Defender) and among her landmark legislative measures were ordinances penalizing domestic violence and providing protective measures to battered wives/husband. 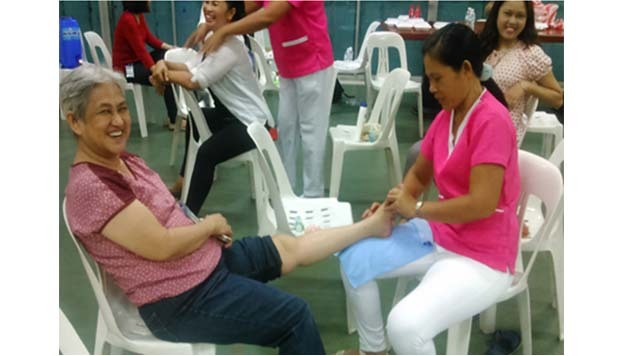 Delighted MNWD women employees pampered with body massage, nail care services and hair trimming during the celebration of Women’s Month 2016.